Romney's campaign doctors newspaper editorials and then sends them to reporters hoping to spin the story. In fact, even his backers have doubts. So Romney pretty much fits the bill. But it is not a perfect fit, as major papers across the country have made clear. The endorsements of Romney invariably come with a caveat indicating that, like Republicans in general, the newspaper editorial boards are not really that into Mitt. What’s a candidate to do when all his endorsement recite his many failings? For Mitt, that’s no problem. Romney’s campaign just cuts out the bad parts. When the Romney campaign sent out an an e-mail blast and related communications about the endorsement, they dropped that section. “This was such a long cut and paste that I think it did create some confusion as to whether this was the whole editorial or not,” Finley told CNN. The Romney campaign came back with all sorts of excuses: concerns about copyright laws, claims of “fair use,” space concerns, you name it. But they did not say they would stop peddling false impressions of their candidate And they have not. 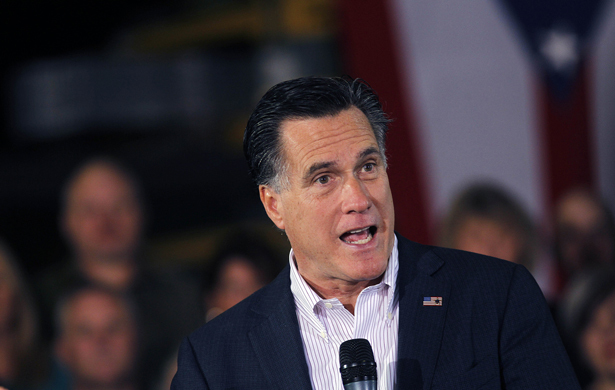 The Romney camp rushed to circulate the endorsement. That’s one mystery created by Romney and his campaign. Here’s another: Can a candidate whose engenders so many doubts cut-and-paste himself to credibility—and the Republican presidential nomination?